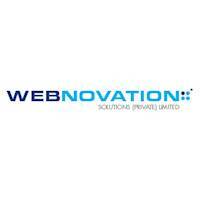 Webnovation Solutions (Private) Limited is an innovative Web Design Sri Lanka based firm. We are focused on boosting the brands online. We offer customized web design and SEO services in Sri Lanka in order to boost the traffic for your website and mobile applications. We provide a planned and logical approach to produce qualified leads and generate business. Our creative team thinks outside the box and offers the exceptional Web Designing Services to their clients. The Web Development professionals start off on the right foot and use newfangled technology to develop custom sites that increase the user engagement. Website Development is a comprehensive process and Webnovation Solutions (Private) Limited, being the superior Website Design Company in Sri Lanka makes the websites look enchanting by following a proper content strategy, information architecture, user-pathways, and much more.